MMA Latest News - Bringing you the latest in MMA News from around the world! 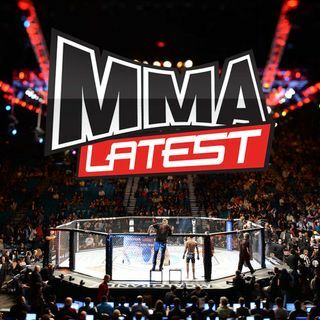 This series of podcasts available on MMA Latest see's UK comedian Bryan Lacey talk 'One on One' with MMA fighters, coaches and MMA personalities. Subscribe to the podcast and also get in touch on Twitter @BryanLaceyMMA and let him know who you'd like him to go 'One on One' with next! MMA Discussion with MMA Latest News' staff, fighters, and personalities in the MMA world! P4P Podcast hosted by Jordan Killion and UFC Middleweight "Smile n'" Sam Alvey. Each episode UK UFC fighter Brad Pickett and comedian Bryan Lacey talk UFC, MMA news, Life and more!